The Madness of Spring has arrived! Even though the calendar says spring won’t officially arrive until tomorrow at 11:15 AM central time, weather, sports, and St. Patrick’s Day madness has already ensued. Spring is a great time to celebrate and gather with friends and family, whatever the reason. Better yet, meeting with others also benefits your brain and memory. Did you attend a St. Patrick’s Day celebration, watch some basketball or experience our crazy weather lately with others? If so, you not only (hopefully) had fun, but helped your brain and memory too! Being with others and socializing activates our brains in different ways than we can do on our own. With others we engage, respond, think quickly, and make decisions using various parts of our brain which contribute to memory wellness. Using these different areas of the brain keeps them strong for when we need them in our future. We create more cognitive reserve as we socialize and simply cannot replicate this interaction by ourselves. Recent studies highlight the significance of socialization as we age and with exercise. One study in England showed how dementia care and quality of life in a residential care home improved simply by increasing socialization with the residents. Often those with dementia are not engaged with as much due to communication limitations, difficult behaviors or lack of understanding of their symptoms. But everyone, including those with dementia, can benefit from the engagement of others around them. A second study demonstrated how people who walked in groups were more apt to stick to the exercise regimen than those who did not. This is not a revelation; however, it’s nice they’ve proven it. 🙂 Most of us benefit from the accountability of a partner or friend with healthy habits such as exercise. Even better, continuing to exercise not only helps our bodies but also our brains! So let the madness march on! Get together with friends, family and meet new people. 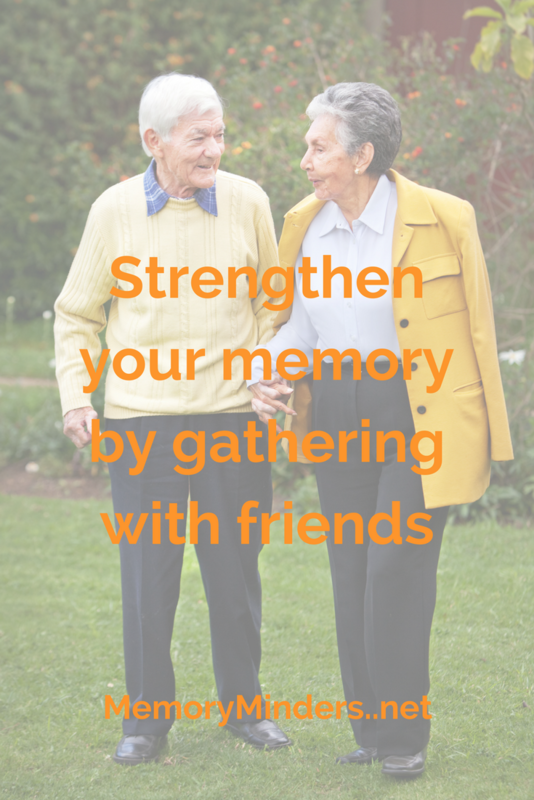 The good news is when we socialize, we are not only strengthening our relationships but also our memory wellness!